So this was never part of the plan, but as it turns out, when you’re in a streak of fittingly seasonal themes, it’s hard to resist keeping it going. This is especially true when a brilliant, bookish friend and colleague points out that it’s November, month of Thanksgiving, and though you’ve already done homes and family, you haven’t yet tackled food. And so the seasonal themes continue, and this month, food it is. Here at Read Five, we’re very fond of food. And, as you’ve probably already figured out, we’re also very fond of books. 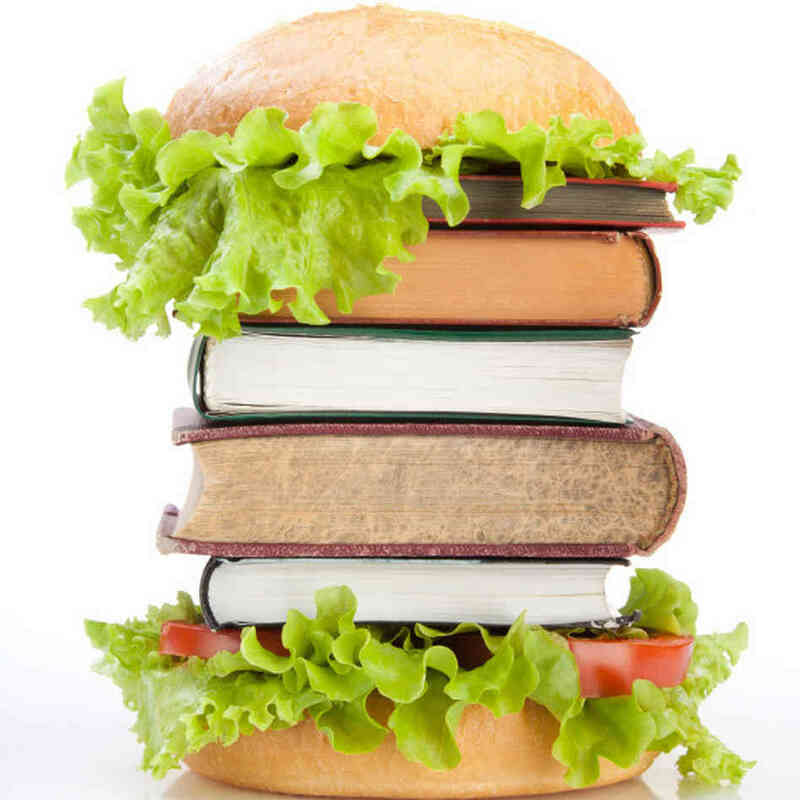 There aren’t really book-y foods as far as I know (I’m sure the internet would prove me wrong), but there are plenty of foodie books out there, from food writing and cookbooks to that novelist who just can’t resist describing every meal in endless, mouth-watering detail. What follows are some of our favorites, and we can only hope that by the time the 27th rolls around, we’ll have succeeded in making all of us very, very hungry. This month we’re linking to Park Slope’s Community Bookstore, which is Dana’s new neighborhood haunt! This entry was posted in November 2014 and tagged food, intro posts, November 2014, seasonal themes, Thanksgiving. Bookmark the permalink. ← Back to basics. With rodents. Can’t wait to see what you’ve picked!